PrefixNE consist of a local thin-agent, management console and repository. The thin-agent is installed on each PC on the network (fully automated). 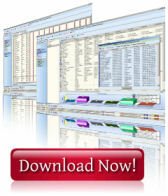 The management console can be used on any PC in the network concurrently. • Disk space: 600 Kb for program, plus ~100k per managet target.